Services: Branding, corporate identity, concept development, art and photo direction, photo retouch, point-of sale, and print design. 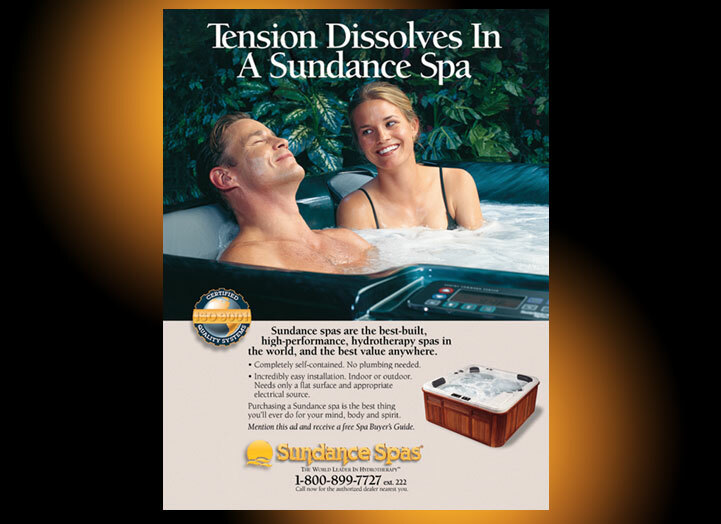 Sundance Spas manufactures spas, hot tubs and accessories primarily for home use. 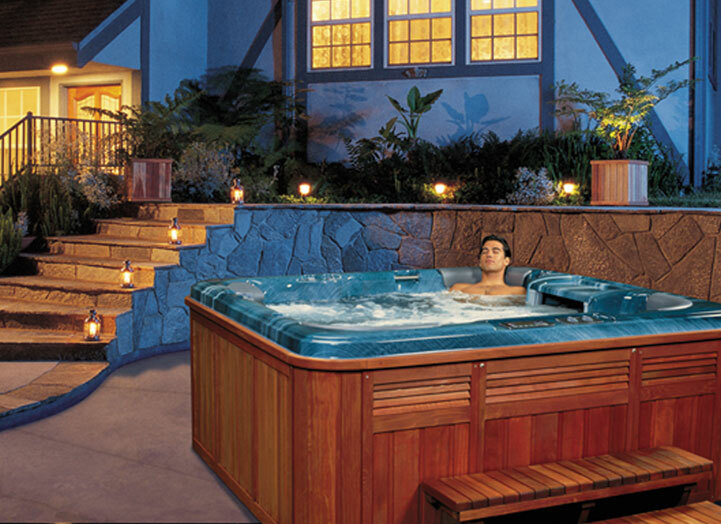 In order to move beyond the hot tub party image, we created a campaign based on the health benefits of spa ownership and focused on the them of hydrotherapy. 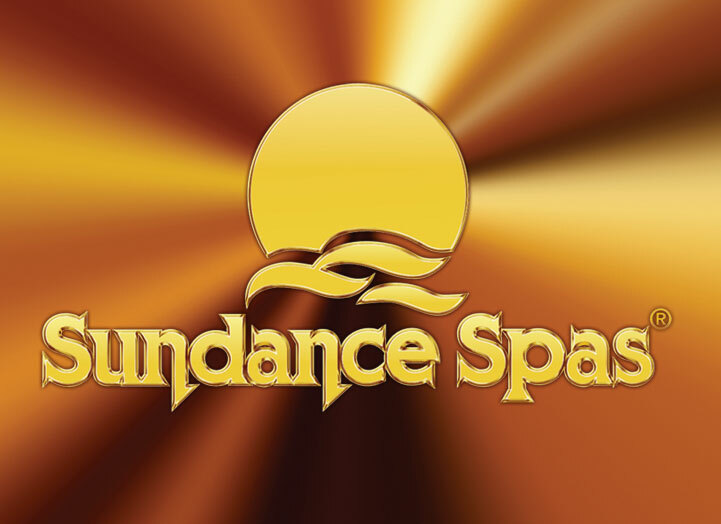 The logo was designed with a sun and wave forms to suggest light dancing on water. 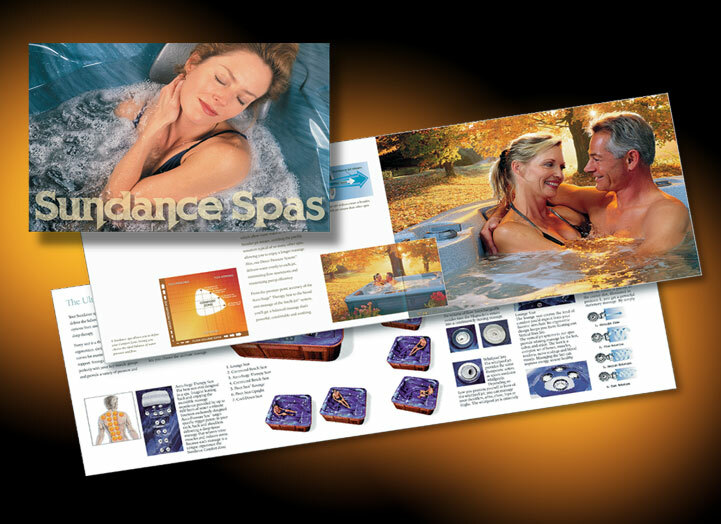 A warm soothing color pallet was developed and photos for brochures and advertisements depicted people relaxing. 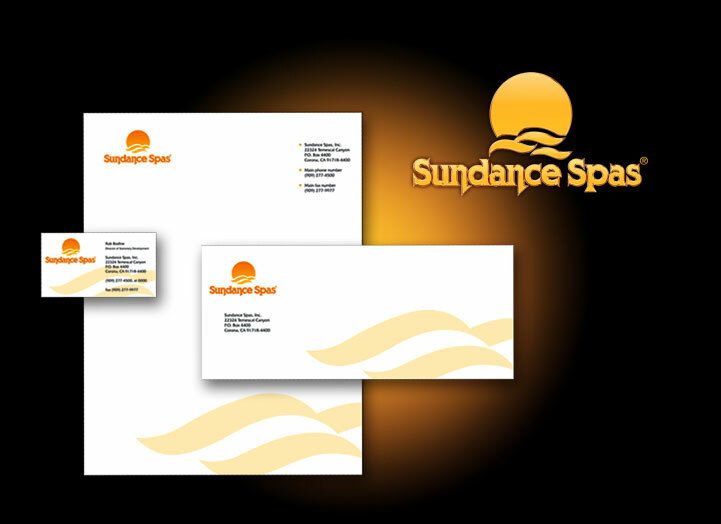 To avoid the costs of shooting in multiple locations, the images with people were all shot in a warehouse at the Sundance factory and then composited into stock photos of pre-selected scenes.